In this article, we are going to look at the best AR 15 scopes for the money. With so many options out there, it can be very confusing on which one is the right one to buy. The AR 15, as you probably already know, is one of the most popular gun platforms in the world today. The most popular caliber for the AR 15 is the .223 round. 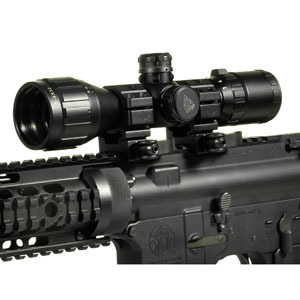 The quality in optics have increased exponentially over the years with modern technology, which makes good AR 15 scopes both affordable and higher quality. With all of the advances in technology, it makes sense to get one of the top AR 15 scopes for your rifle to enhance its capability. In this article, we are going to go over the different things you should look for in a scope, and then we are going to go through the top 9 out there so that you can pick the right one for you. Here's a fun fact. Did you know that AR is not short for assault rifle? We go into detail why over here. Help get the word out by sharing it with your friends. First, let's check out summary table of the top ones. Depending on where your AR 15 comes in your gun collection, for many it may not be your primary weapon. For most of us, money gets thinner when we want to put scopes on most of our guns. That is why picking a high enough quality scope for a good price is very important. Great gear that costs less means more great gear for us to play with. Another factor to consider is what distance you plan on using your AR 15 the most. 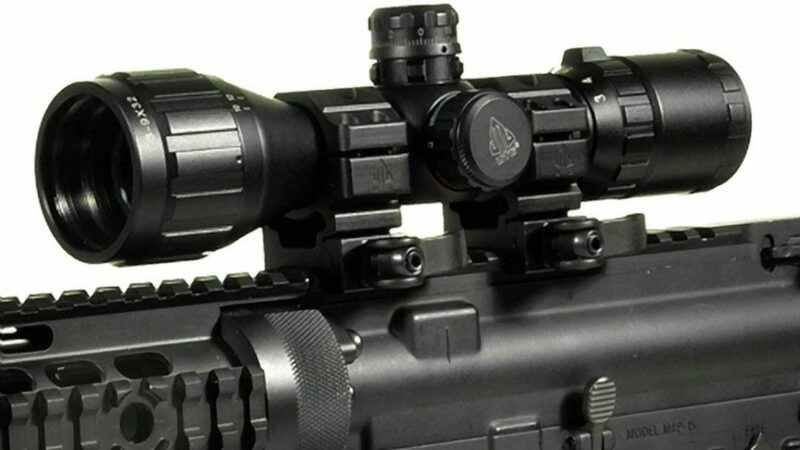 If it is intended for closer quarters, then obviously you want to keep the magnification lower, or even consider a red dot instead of a scope. 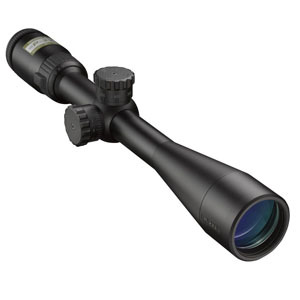 Many people prefer to get a scope that can handle a wide ability of range. 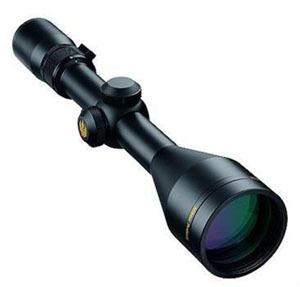 The most popular hunting scope configuration is the 3-9x40. As a reminder, the numbers 3-9x designate the magnification range, where 3x is the lowest, and 9x is the highest. This configuration operates well in the 300 yards or less range for accurate shooting with a scope. If you want to shoot farther than this, then consider a 4-12x40 or even a 4.5-18x40 scope. We always want to get a scope that has good optics quality. Therefore we choose proven brands that have performed time and time again. Also, from our 3-9x40 example, we remember that the 40 is the diameter of the objective lens in millimeters (mm). The theory goes that the bigger the objective lens is, the more light makes its way into the scope and into our eye, giving us a brighter image. If you prefer to use your weapon near dusk or dawn, get a bigger objective lens to help you see in lower light conditions. 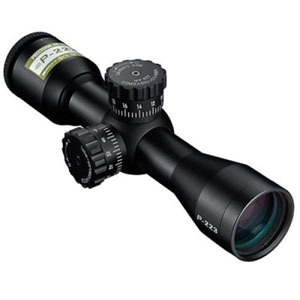 The Nikon P-223 3-9x40 is one of the most popular scopes out there for the AR 15. It has a 3-9x mag range which makes it perfect for shooting under 300 yards for clear target acquisition. The reticle is the BDC 600. As a reminder, BDC stands for bullet drop compensator, which gives you circles to quickly assess how to place the reticle for farther ranges than your sight-in range. However, we must remember that the BDC reticle is always tuned for a specific caliber and ballistics data, so if our weapon is different, it will skew the reticle's accuracy. This may or may not be an issue, depending on your situation. The BDC 600 on this scope is tuned for a .223 Remington, at 55 grain. The hash marks will help you compensate from 100 to 600 yards. 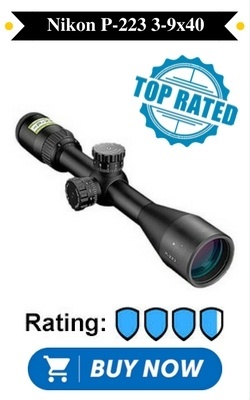 This scope is a fantastic mix of price and value. Check out the video review below. If close range is more your game, then consider the Nikon P-223 3x32. It has a fixed 3x mag with a 32 mm objective. It has a BDC carbine reticle with marks for 200, 400, and 600 yards. This is a great performing scope that gives you an advantage at close range and still provides capability for mid range shots. Another great close range option is the Bushnell AR Optics 1-4x24. It has a 1-4x mag range and a 24 mm objective. It has a BTR-1 BDC reticle that is also illuminated to aid in those lower light shots. The reticle marks can aid in shots out to 500 yards. This scope has an exclusive throw down power change lever that lets you quickly change the magnification in case things get intense. 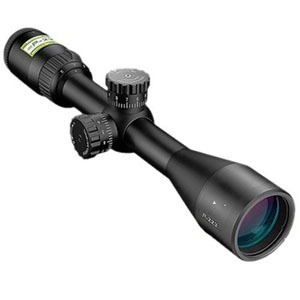 If you are looking for a scope that was not exclusively made for the AR 15, then check out the Nikon ProStaff 4-12x40. It has a 4-12x mag range for a little more further shooting distances. The objective is 40 mm in diameter. This scope comes with a BDC reticle that might better fit your caliber if you don't have the .223. 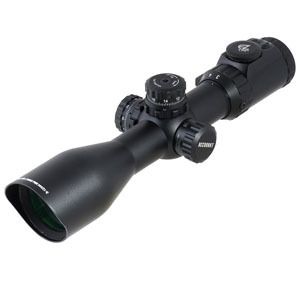 If you are a Bushnell fan and want a very versatile scope, then the Bushnell AR Optics 3-12x40 is right for you. The scope has an extended 3-12x mag range and a 40 mm objective lens. The reticle is a drop zone BDC tuned for the .223, at 60 grain, and has hashmarks out to 500 yards. There is a side knob for parallax adjustment when you go beyond the 10x zoom to increase accuracy. Next up is the Nikon P-223 4-12x40 if you like the Nikon P-223 series and want a little more range. This scope has a 4-12x mag range. The reticle is a BDC 600 which gives you marks from 100 to 600 yards to aid in those longer shots. 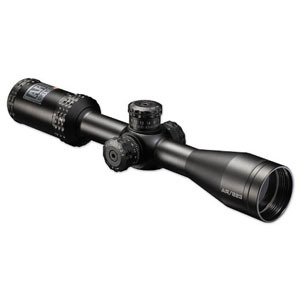 For the long distance fans, we have the Bushnell AR Optics 4.5-18x40. This scopes mag range is from 4.5-18x. This scope has a drop zone BDC reticle similar to the other Bushnell offering with marks out to 500 yards. It also has the side knob parallax adjustment feature. 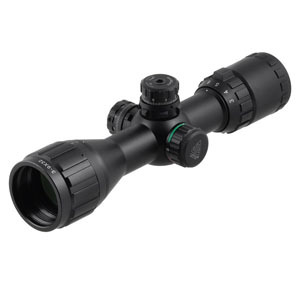 If you are on a tight budget and just need a clunker scope, then the UTG 3-9X32 is perfect. It is very popular and has decent quality. The 3-9x mag range is ideal for most users. The reticle is a mil dot that comes with different color illumination. This is a neat little scope, but keep in mind its way on the cheaper end. While most reviewers love it, you usually get what you pay for in the world of scopes. 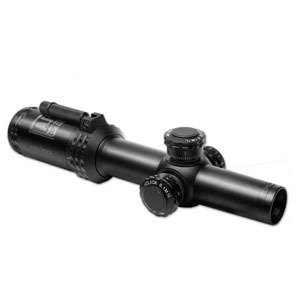 If you like the idea of a cheaper UTG scope, but need more range, then get the UTG 3-12x44. It has similar features as the previous UTG, but an extended mag range. Again, reviewers love this scope, but you always have to be wary of scopes on the far cheaper end of the spectrum. Many consider UTGs as toy scopes. To put it all together, we looked at several factors to consider when choosing the right scope for your AR 15. We discussed how for most of us, price plays a big role in finding scopes for most of our weapons. We also looked at why magnification needs to be considered when we think through the distance range we want to be using our AR 15 in. Next, we talked about optics quality. Then we went through and looked at the top 9 AR 15 scopes reviews that are out there right now. When choosing the right scope for you, keep in mind that all of the scopes that made this list are fantastic, and the decision should come down to price, magnification, and reticle preference.